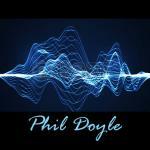 Sign up for Broadjam today to follow Phil Doyle, and be notified when they upload new stuff or update their news! Written in response to the wave of violence that has swept across our land over these last few years and shows no sign of abating. Mikal Britt, Phil Doyle, Elizabeth Greenway.